When the time comes to install new hardwood flooring, Portland OR homeowners have quite a few decisions to make. What species of wood will best complement the family’s décor and lifestyle? Is engineered or solid hardwood flooring best? Should the floors come pre-finished from the factory, or should they be installed first and then finished on-site? Higher installation cost. Unfinished wood flooring may seem less expensive upfront, but the time and labor involved in finishing the floor on-site will tack on hidden costs. On the whole, homeowners generally find pre-finished hardwood flooring more cost-effective as well as convenient; once it’s installed, it’s ready to go. More mess and fuss. The finishing process is not a tidy one. First, unfinished hardwood flooring must be sanded down to a smooth finish, creating an abundance of dust that gets, well, pretty much everywhere. Then there are the noxious fumes released by the finishing products, which will circulate within the home until they dissipate. With pre-finished hardwood flooring, Portland OR homeowners don’t have to worry about these unpleasant byproducts. More vulnerable floors. Because pre-finishing occurs at the factory, hardwood flooring manufacturers are able to boost its strength and durability against wear and tear. 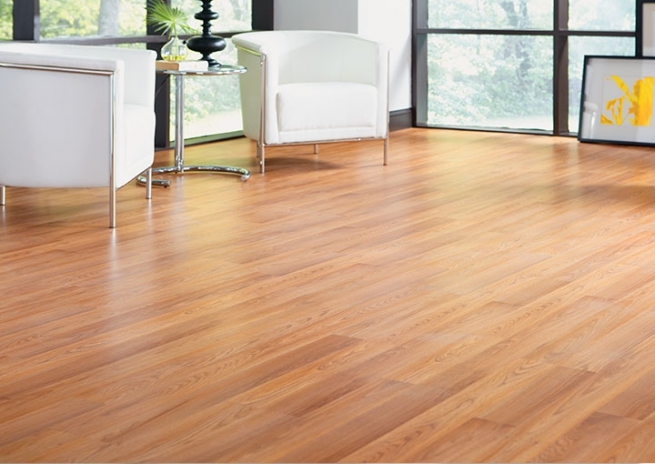 Unfinished wood flooring won’t have these advantages, so it will be more susceptible to warping and buckling. Unfinished wood flooring does have its advantages. In most cases, however, it’s more trouble than it’s worth. Either way, homeowners should be aware of the drawbacks before taking on an unfinished flooring project. To learn more about different types of hardwood flooring, stop by our Portland store and talk to our expert staff.